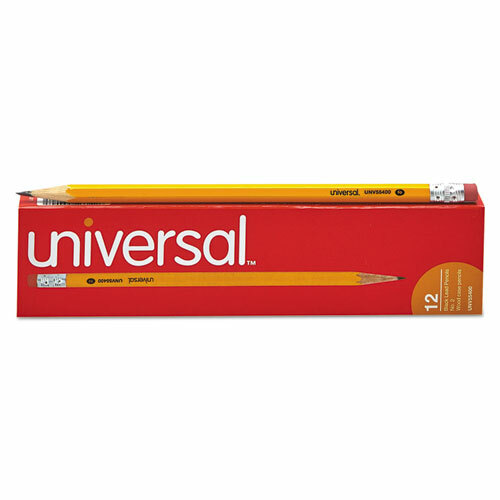 Classic yellow pencils are strong, sturdy and practical for all your writing needs. Break-resistant, black #2 lead provides a smooth writing experience. Silver ferrule features a smudge-free natural rubber eraser head. Hexagonal barrel prevents pencil from rolling away. Requires sharpening. Pencil Type: Woodcase; Lead Color(s): Black; Barrel Color(s): Yellow; Barrel Material: Wood.